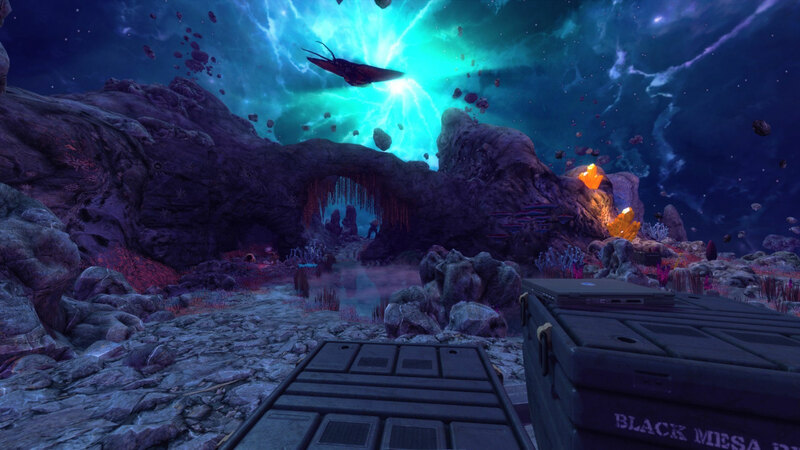 So committed is third-party Half-Life remake Black Mesa [official site] to emulation of its much vaunted inspiration that it has now fully embraced ValveTime. Black Mesa was first released as a free mod in 2012, followed by a spit’n’polished paid version two years ago, but still with the notorious jump’n’fail alien world section from Half Life’s final act missing. Plan was to rethink rather than merely remake Xen, in a planned act of historical revisionism to make people think Half-Life was brillo all the way through. (Note: Half-Life was brillo all the way through). Last Autumn, the team declared the Gordon would finally be bouncing his away across fleshy coral oddities once away this summer. Well, no – there’s been a delay. 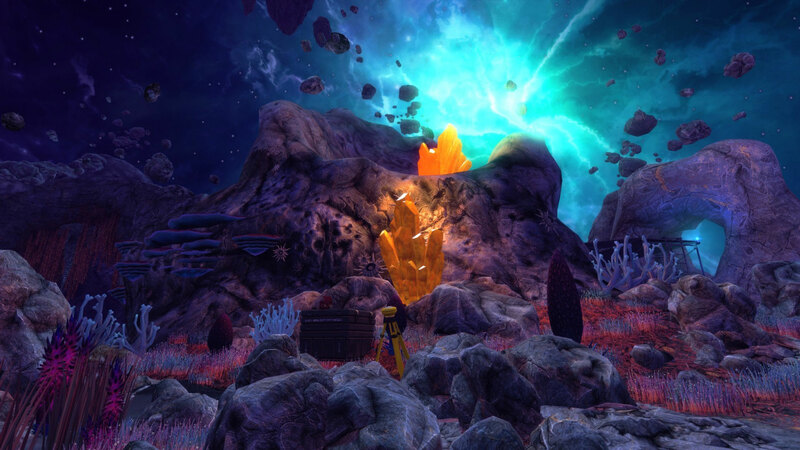 The good news is, they are now showing off Xen’s great outdoors for the first time, as well as revealing a few changes planned for Black Mesa as a whole. They’ve just announced that new date is this December, which hopefully means we’re all in line for a Black Christmas. The reason for the delay is, the devs say, “after taking a long and hard look at what we want to achieve, we have decided that this is for the best. We do not want to compromise on Xen’s quality in any way.” Which, I guess means, they don’t want to inadvertently give Half-Life a finale that loads of people moan about for a second time. Happier news is that “that said, we consider December to be a do-or-die deadline”. I hope they’ll forgive my applying just a pinch of inter-dimensional salt there, given how long we’ve waited already – and, frankly, it’s been long enough that I remain happier to wait some more if Xen needs it. Should be noted that only the paid version of Black Mesa is due to be Xenified, by the way – so you’ll probably want to upgrade in December if you’ve only got the free mod version. It’s attractive, but, as Alice worried about the Xen interior screen they put last Chrimbo, I’m not entirely convinced it screams “Xen.” Valve’s take on this far-flung planet was weird and fleshy and pastel, whereas this is gloomier and rockier and looks a bit more, well, Mass Effect Andromedan. I can see one of those flying Manta Ray wotsits in the second screen, which is arguably the only giveaway here that we’re looking at Xen as opposed to Alien Place #5464552. Hopefully it’ll feel a bit more like the Xen of yore once we get to see scrotal spiders and angry hook-trees littered across it, though. The whole game’s getting a colour correction pass too, “to better unify the game’s visual style and to add full screen effects during the more intense sections.” Apparently subtle in most cases, but here’s a more overt example. Er. I prefer the ‘before’? Suspect all it means a slightly heightened sense of consistency in practice, though. Also, soldiers will hold their guns properly, instead of having bits of the handle sticking through their hands. Is Half-Life without a little bit of shonkiness truly still Half-Life? Hopefully, come December, we will find out.